Rosanna loves exploring the possibilities of using digital media and play in areas such as education, civic participation and public health. As a designer, Rosanna is passionate about innovation in user experience, games, and interactive design. She loves designing new learning spaces, both physical and virtual, that support collaboration, creativity, peer-to-peer learning, inquiry, experimentation and youth-driven production. As a researcher, Rosanna explores new trends in the fields of education and human-centered design, synthesizing this knowledge with cutting edge technologies that can inform the way we think about learning in the 21st century. As an educator, Rosanna explores the ways by which mobile and web-based apps, social networks, games and makerspaces may provide situated learning environments where learners are encouraged to develop solutions to a myriad of problems. Most of all, Rosanna loves working with young people and communities, helping foster meaningful interactions among people through technology. She has worked in the Philippines, Palestine, Argentina, the Caribbean, Spain and the United States through organizations such as the United Nations Children’s Fund, the Institute of Play and through a number of independent projects. 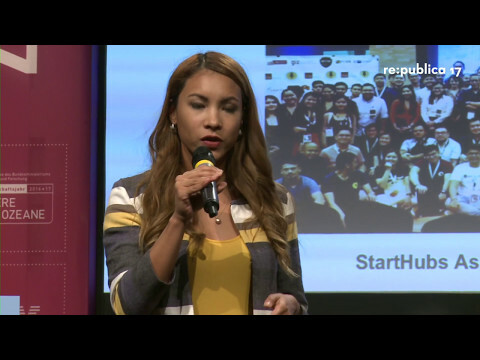 She is currently based in Manila, and is founder, CEO and prankmaster of Sparklelab Design and Innovation Hub.